American rapper who signed a recording contract with Lil Wayne’s Young Money Entertainment, Cash Money Records and Republic Records in 2011. 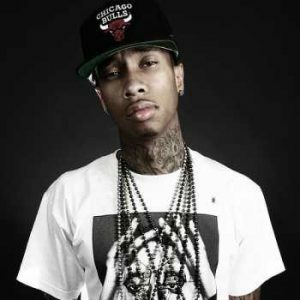 He released his major label debut album Careless World: Rise of the Last King in 2012. This album included the singles “Rack City”, “Faded” featuring fellow Young Money artist Lil Wayne, “Far Away” featuring Chris Richardson, “Still Got It” featuring Drake, and “Make It Nasty”. His 2018 single, “Taste”, achieved remarkable success, climbed at #8 on the Billboard Hot 100, being his first Top 40 single in over three years. Born Michael Ray Stevenson on November 19, 1989, in Compton, California, although his Vietnamese and Jamaican parents, he belongs to Vietnamese and Jamaican descent. He grew up listening to Fabolous, Eminem, Lil Wayne and Cam’ron among many others. He had a child named King Cairo Stevenson with dancer Blac Chyna in 2012. He dated reality star Kylie Jenner. The couple split in April 2017. *He was born on November 19, 1989 in Compton, California, USA. *He has Vietnamese and Jamaican ancestry. *His cousin, Travis McCoy, was a member of Gym Class Heroes . *His stage name stands for Thank You God Always. *His third official single, “Rack City”, peaked at number 7 on the Billboard top 100 in 2011.